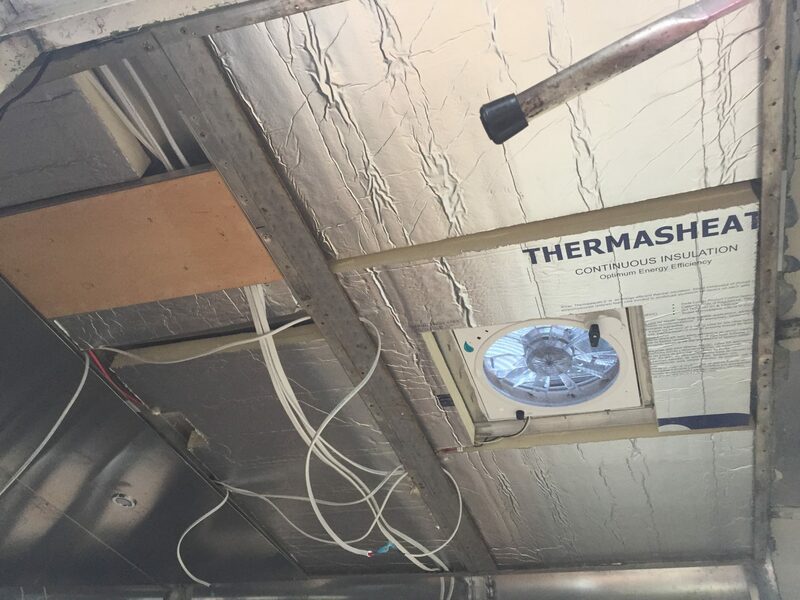 Wednesday I finished reinstalling the last two ceiling panels, the forward vent trim and the front LED lighting bank. I also ran a spare 12 AWG triplex cable over the T2 cavity, for a future 120V or 12V circuit. Then I reinstalled the VIVO TV mount over the helm and ran its IR sensor cable through the trim to hide it. And finally I reattached the 19-inch Sony Bravia TV to the arm. Everything looks great, but I want to clean off all the handprints before I post a photo of the finished ceiling. We’re expecting heavy rain the next four days, but I’m convinced the roof is leak-free now. My space heater and dehumidifier appear to have eliminated the pooling/dripping condensation problem. So the next few days will be the definitive test. I returned two of the unused sheets of 1″ RMax rigid foam insulation and brought home two more sheets of the 2″ thickness. That’s all I could fit in my SUV, so it’ll take two more trips to Home Depot to get all the insulation I need to complete the wall cavities. For that phase, I need to remove all eight porthole windows so I can then remove the wall panels. I’ll insulate the aft eight wall cavities first so I can get the windows back in place quickly. The forward four wall cavities don’t have windows, but they’ll have a lot of electrical and plumbing to work around. 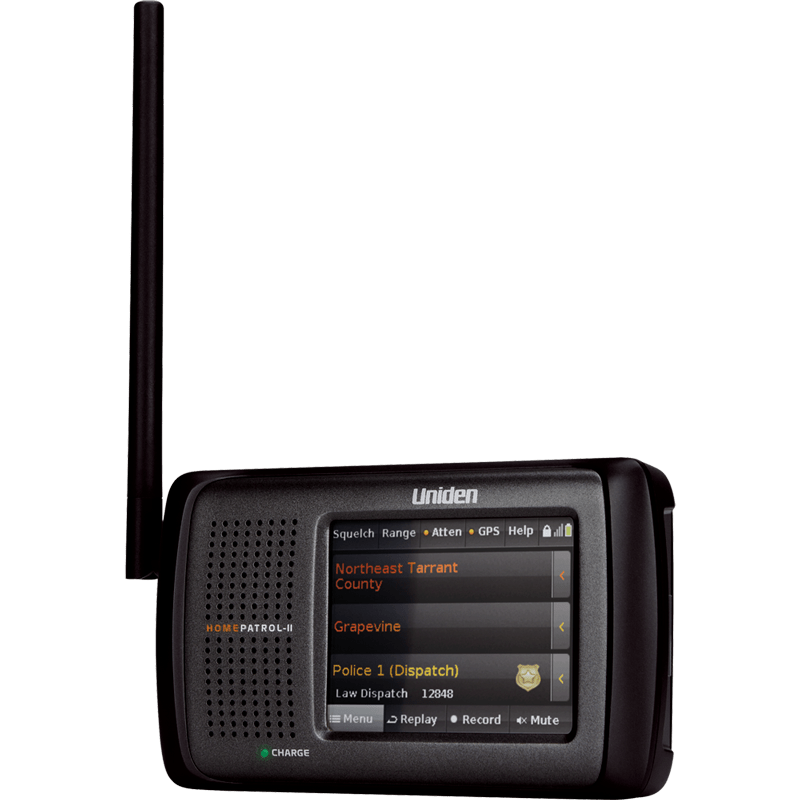 I found a great scanner radio that fits on the helm and does everything except transmit. It’s the latest UNIDEN HomePatrol II TouchScreen Digital Scanner. I found it gently used on craigslist.org for $300. The scanner picks up plenty of chatter around any ZIP code including police, fire, ambulance, air traffic control, HAM, etc. It recharges via USB (5V) and I ordered the UNIDEN mount to install it in the helm above the iPad mount. There are codes to learn, but it will be a fun and useful addition to the RETROvan, steering us a bit into Prepper territory.